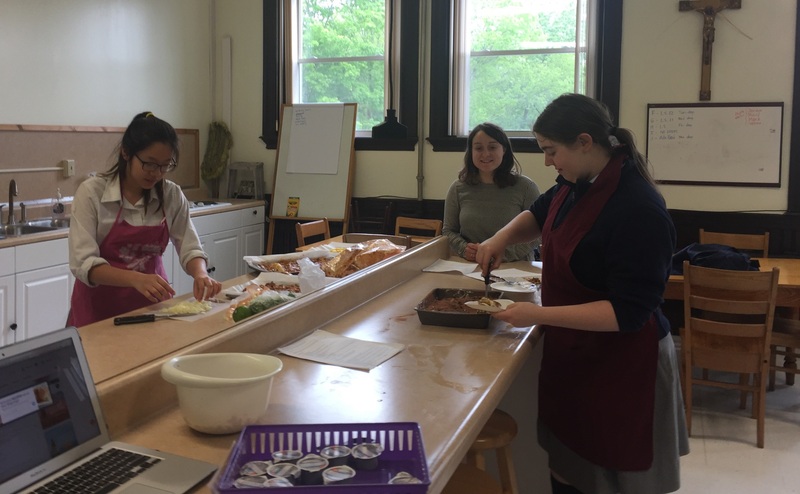 This summer Madeline Betz ‘17 has begun her post-collegiate work, teaching at the Academy of the Holy Family run by the Sisters of Charity in Baltic, Connecticut. The Academy of the Holy Family is a Catholic secondary day and boarding school for young women, which seeks to enable its students to reach their potential through a challenging curriculum built on a supportive spiritual foundation. Betz position was facilitated by Zach Goodier, Career Pathways Coordinator, at Northeast Catholic College. Next year, Betz will be working as a full-time teacher and Resident Assistance. She also plans on attending graduate school in the near future. For more information on Northeast Catholic College’s Career Pathways Program, please click here.